Grapefruit is in season November to June. 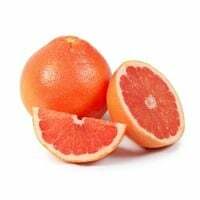 Grapefruit is an excellent source of Vitamins A and C.
The combination of fiber, potassium, lycopene, Vitamin C and Choline in grapefruit help maintain a healthy heart. Grapefruit is made of 91% water, help to keep you hydrated. 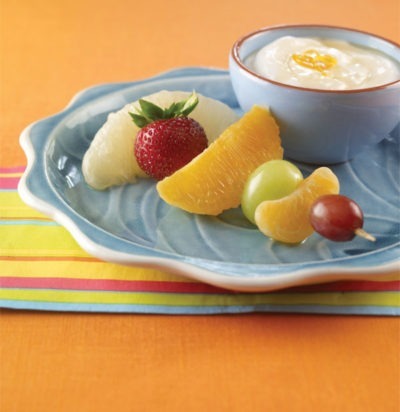 Learn how to help fight the flu with grapefruit with these tips! A ripe grapefruit will be slightly red in color. The deeper the color, the more intense the flavor. Look for grapefruits that feel plump with fairly smooth and thin skin. it should also feel heavy for its size. Give the grapefruit a gently squeeze. It should give slightly, then bounce back after you release pressure. 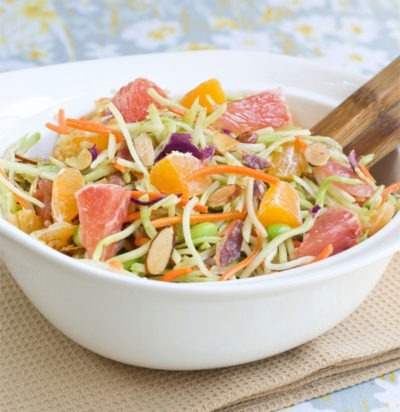 Store grapefruits at room temperature for up to 10 days, or store in refrigerator up to 3 weeks. Cut horizontally and scoop out segments with spoon. Grapefruit got its name because it grows in clusters like grapes. And it belongs to the berry family, like bananas, pineapple and tomatoes.